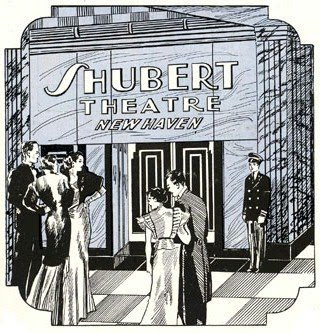 Traditionally, theatrical productions that were headed to Broadway "tried out" out of town, often in Boston and New Haven. There, the writer, director and producers could observe audience reactions and make changes before the show was presented for the New York audience and theater critics. Self-publishing authors have an advantage over authors that work with traditional publishing houses in that they can have an "off-Broadway" tryout, just like a drama or a musical. With minimal expense, you can get a few dozen copies of your book, and distribute them to friends, relatives, librarians, booksellers, consultants, agents, other writers, teachers, experts -- anyone whose opinions you respect. You'll probably get lots of good advice that will influence your final text and covers, and you might even get compliments that can be used as "blurbs" to help promote the final version of the book. One of my books had a limited release last December. While I was pleased with it, and got consistently good reviews, I realized that the title confused some readers, and one chapter should be replaced with other material, and I should shift some of the front matter to the back so people would reach the "meat" of the book sooner. I also decided to add some material, and I may lower the cover price.